After two months in Canada, I’m pleased to make some time this weekend to activate PK01, the Blue Ridge Parkway. I’ll be joined by my good friend, Vlado (N3CZ), and we plan to set up at the Folk Art Center on the parkway around 11:00 EDT and be on the air by 11:30 EDT (15:30 UTC). I plan to use the LNR Precision LD-11, QRP Ranger and EFT Trail Friendly Antenna. Vlado will either use his Icom IC-7000, Kenwood TS-480 or my Elecraft KX1. Life has been so hectic after having been on the road for two months–I’m very pleased to finally have a moment to play radio in the field again! Please make some time to work our NPOTA activation and we welcome spotting us on the clusters! 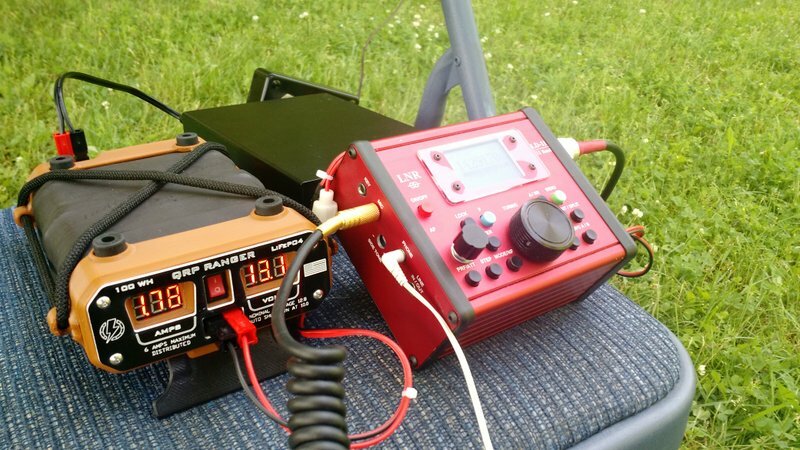 This entry was posted in Announcements, News and tagged EFT Trail Friendly Antenna, LD-11, LNR Precision LD-11, N3CZ, NPOTA, QRP Ranger, Vlado. Bookmark the permalink.